What is Active Network Management? What is Demand Side Management? 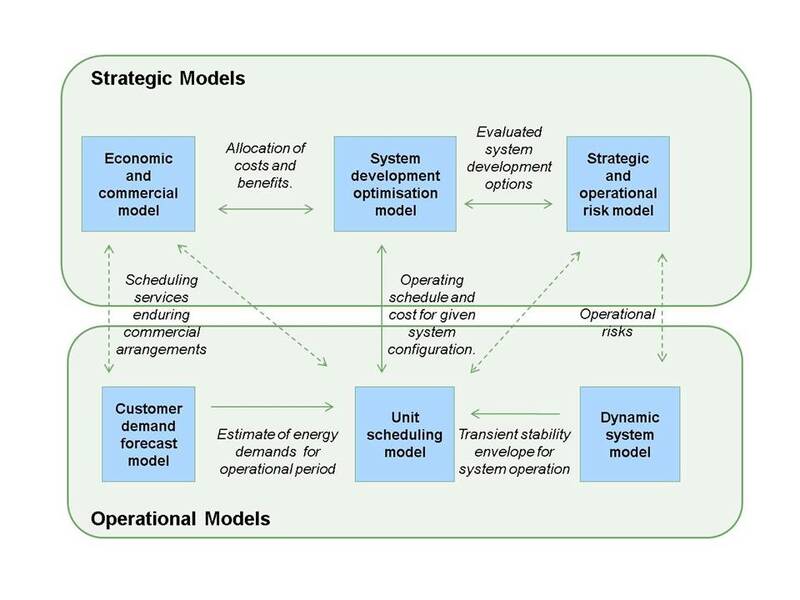 NINES smart grid modelling activities include modelling work carried out by University of Strathclyde (UoS) and Enterprise Architect Models. The University of Strathclyde is using modelling techniques to address fundamental questions about Shetland’s power system. These techniques will improve understanding of the impacts and associated risks of the smart grid innovations under different scenarios, impacts on Shetland’s power system, economy and environment will all be considered, including direct impact on customers. This modelling work will allow evaluation of the impacts of NINES and comparison of different options for repowering Shetland (replacing Lerwick Power Station). Outputs from University of Strathclyde’s work will be made available on our Publications page. Enterprise Architecture models are created by SHEPD to capture and document overall innovative energy system requirements, functionality and operation. 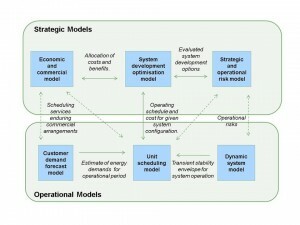 Business and systems analysis techniques are used to develop models describing different aspects or views of the overall systems, for example, Use Case models define the overall scope and goals of the project and work packages within it. Models are documented using a CASE (computer-aided software engineering) tool, Sparx Enterprise Architect. The standards used are UML 2.0 (unified modeling language) and BMPN 2.0 (business process model and notation). The models created through NINES will provide a blueprint for future deployment of the smart grid solutions applied in Shetland – facilitating knowledge transfer and business as usual roll out of the innovations. Further information and tutorials on the models can be found on the website of the CASE tool provider, Sparx.